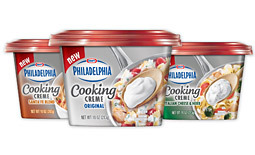 Kraft First Taste: FREE Philadelphia Cooking Creme Coupon! Now this won’t be in all Kraft First Taste accounts, but rumors are they are in many accounts! If you’re new to Kraft First Taste, it’s a great program that gives you freebie coupons! Ask CCD Readers: I got it, did you?